With the Dublin Toy Fair approaching later this month, thoughts are turning to this year’s most popular toys. In preparation for the Christmas shopping rush. We thought we’d take a look at the top 10 and see if they’re any good. 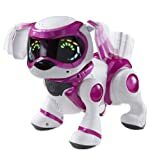 Find Teksta Robotic Puppy on Shop Ireland, if you must. Love it or hate it, Monopoly is one of the most popular family board games ever. Whereas the original game took it’s cue from classic London landmarks, this new version takes a different approach, bringing you all the famous “brands” you’d ever want in Monopoly Empire. The goal is to race around and establish a strangle-hold on the business world by acquiring household name brands, and according to reviews makes for a faster, more fun version of the classic game. Looks pretty good, and costs less than €20 if you buy online. Buy Monopoly Empire online and save some real money. If your kids are looking for dolls this year, these two are definitely worth grabbing online while they’re available. The Flutterbye Flying Flower Fairy features wings capable of carrying it’s six AA battery payload. The only downside being that the charging takes about 30 minutes and you get 2 minutes of death-defying fairy craziness. A second is the latest in the sought after Monster High dolls series. 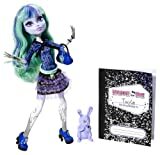 Monster High 13 Wishes Twyla Doll seems like it’ll be popular this year. It comes with a diary and a bag, has totally rad tattoos and, like, killer hair. Both dolls can be picked up for less than €20 each if you’re buying online. 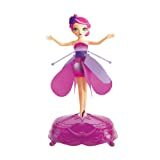 Buy Flutterbye Flying Flower Fairy or Monster High 13 Wishes Twyla Doll at Shop Ireland. As ever, Lego are back with some good stuff this year. Aside from the crazy notion of stating a “target gender”, this one looks like some fun times. The Lego City Coast Guard Patrol brings together a coast guard boat with helicopter, submarine, dinghy, loads of people, a dog and all sorts of accessories. 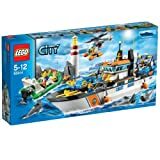 Buy Lego City Coast Guard Patrol on Shop Ireland. Like a pricier Tamagotchi hatched from a Gremlins movie, Furby Boom is a new update on the classic pseudo-sentient creepy toy we’ve known and loved for years. This one comes paired with some kind of mobile app so you can hatch and raise virtual children, and interact with the Furby in new ways. It’s worth noting that the different colours have different voices, with the blue Furby having a boy voice and the peacock Furby having more of a girl’s voice. Both cost around €60 euro. Buy Furby online and save a few notes. If you’re looking for a cut-price alternative to an iPad to entertain the little ones this year, the InnoTab 3S with its ironic Apple-inspired naming attempts to meet your needs. It’s available in blue and in pink. With a web browser and some education-oriented apps, this should keep the kids entertained for a while at least. However it does have some down sides. Slow performance is noted as one of the tablet’s weaknesses, along with the cheap screen and mediocre battery life. Web pages take a long time to load, and lack of Flash means you’ll have trouble playing Youtube videos. But hey, it’s less than 100 yo-yos. Buy InnoTab 3S and save on the listed price. A higher quality alternative to the InnoTab 3S, the LeapPad Ultra (green) and LeapPad Ultra (pink) aim to please the older users. Priced closer to €115, they advertise the pad as being faster than previous versions. It’s worth noting also that the apps on this device must be bought separately, and cost as much as €25 each, with many in the €10 range. If you are the type to buy a lot of apps, it’s worth keeping in mind that there will be ongoing costs. 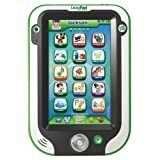 Buy LeapPad Ultra online here. For kids that follow the Doc McStuffins TV show, this is a great one. Doc McStuffins Doctor’s Bag includes a doctor’s bag full of 8 investigatory implements garnished in glitter, and is apparently very true to the show. Aimed at kids from about 2 or so upwards, and costs about €24 euro if ordered online. 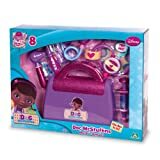 Buy Doc McStuffins Doctor’s Bag at Shop Ireland. Lastly, we have the Robo Fishbowl. This is a toy for kids from about 3 years upward, and tries to present a battery-powered alternative to looking after a real animal. We’ve not seen a lot of reviews for this one yet but a bit of online research seems to suggest that they’re pretty good, they look cool and move nicely. They seem to work best in the tank with more than 1 fish at a time. Could be a nice idea, though a little expensive at about €24 euro. 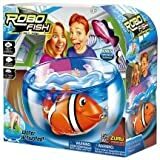 Buy Robo Fishbowl online at Shop Ireland. If you’re stuck looking, start with Shop Ireland’s great christmas gift ideas. Best of luck!